Thanks to all you ‘Friends’ for the progress we have made in the Got Your Kid Covered campaign. We need continued support to complete greening this saguaro - our barometer for measuring progress. As of November 15, we have raised $49,600 and are at 66% of our goal. You may recall the campaign is to raise $75,000 for three important projects that support nature education in the Canyon. 1. Build three new ramadas to provide shade over the tables in the elementary teaching area. We are pleased to report this phase is complete. 3. Build a new ramada for the puppet show and assist the Forest Service in upgrading the ramadas in the kindergarten teaching area. If you have not yet contributed to this campaign, please consider doing so now. 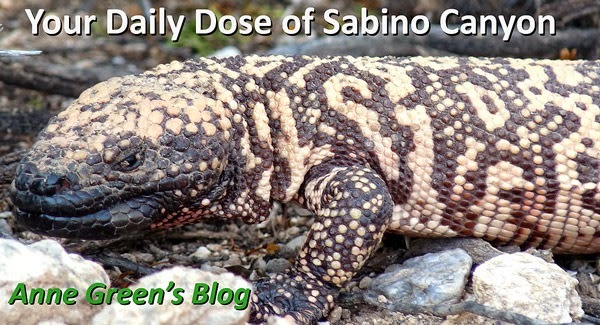 We prefer your check, but you can also visit our website at www.sabinocanyon.org and make an online contribution. We hope to complete the campaign by the end of December.